Unusual Historicals: First Ladies: Ava de Ribagorza, a Traitor Countess? First Ladies: Ava de Ribagorza, a Traitor Countess? In the tenth century, so much definitive action took place in northern Spain that every historical person played a fascinating role. One of these historical persons was Ava de Ribagorza, Countess of Castile and wife of Count García Fernández. Although an epic poem about García’s wife circulated all over Iberia—The Traitor Countess—its storyline bears little relation to fact. I’m writing a novel with Count García and Countess Ava as central characters, and to write about her convincingly, I need to make crucial decisions based on little evidence. How to separate legend from history? 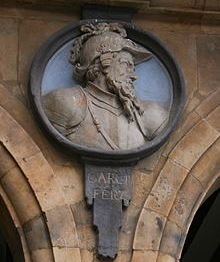 García Fernández was the second Count of Castile from his father’s death in 970 until his own passing in 995. At the time Castile was a territory on the fringes of the Kingdom of León and politically dependent on it. The Castilians’ location on the frontier with the Caliphate of Córdoba meant that by necessity, the political leaders were principally warlords. They had to be ready at any moment to defend their hard-won territory from brutal raids that terrified everyone from the haughtiest king to the lowliest laborer. This is the era of Almanzor, a political opportunist and great military strategist whom everyone in the north of the peninsula assumed was the caliph because of his seemingly limitless power. 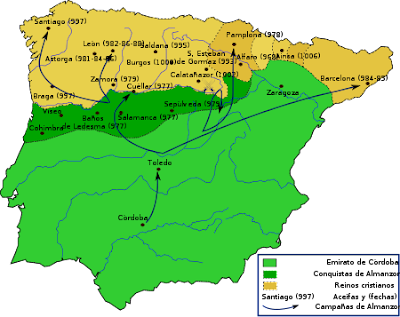 The map shows Almanzor’s principal forays into León, Castile, Navarra, Ribagorza, and Barcelona (the “Christian kingdoms”) and the generous swath of territory he took back for his prosperous empire. The constant ebb and flow of conflict was only aggravated because the Christian kingdoms often had bloody spats amongst themselves. The militarization of Castilian society was so extreme that it’s said that the men didn’t have time to take care of their own horses. That job, and other important ones, belonged to their tough-as-nails wives. 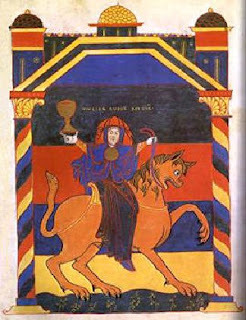 Ava was born circa 945, the daughter of Count Ramón II of Ribagorza. The family name refers to the county between the France-dependent County of Barcelona and the independent Kingdom of Navarra. The Queen of Navarra may have helped arrange Ava’s marriage to Count García in 960 or 965. Ava’s prime age and noble birth made it a good match that became a fruitful union. Somehow, between battles and governance, the count and countess raised six children to adulthood. Four of the five daughters made advantageous marriages, one became a nun, and the son, Sancho, inherited the title and responsibilities of Count of Castile. Not many other facts have survived about this woman, whom circumstance must have made extraordinary. It’s my job as a historical novelist to breathe life into Ava on the page, but I don’t have a lot to go on. Her death may even be more mysterious than her life. I haven’t been able to find a record of when Ava died. There is no mention of her in the histories after García Fernández’s passing. This doesn’t necessarily mean she died around the same time. Because her husband’s death meant the end of her time as Countess of Castile, she might have taken on a lesser role at court, perhaps supporting the new count, her son, in ways no one valued enough to write down. As I’ve written at Unusual Historicals before, the minstrels and then the historians who wrote down The Traitor Countess took Ava’s absence from the historical record and ran with it. They claimed that she wanted to elope to Córdoba with her Moorish lover, and they set Count García’s death squarely on her shoulders. She takes advantage of her role as horse husband by giving García’s steed food that makes it look bulky, but actually weakens it. As Ava has planned, the horse fails the count in battle, leading to his death on the frontier. She then attempts to poison her son so she can leave Castile, but Sancho turns the poison back on his mother in a scene reminiscent of Hamlet. It’s hard to imagine why Ava became the target of so much scorn. Perhaps something similar to this happened and became lost to history. Or, more likely, confronted with a vacuum in the record and well removed from the time period, the thirteenth-century historians preferred to write down scandalous material instead of nothing at all. A traitorous countess could explain two things that might have puzzled them: the death of the great warrior, Count García; and the curious fact that his youngest daughter, Oneca, was married to Almanzor soon after García’s death. Yes, that Almanzor. In the tenth century, political strategy could easily have led to such a match. 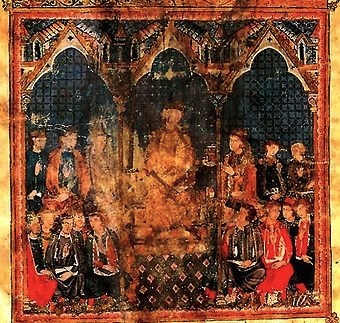 In the thirteenth century, however, historians were more concerned with presenting a coherent story of Castilian power and religious righteousness than with the complexity of history. If they read about Oneca’s marriage to Almanzor, terror of the north, they would have thought something had gone terribly wrong. What better way to explain a now unsavory alliance than by blaming a woman? The poor girl must have had a terrible mother, since her father was a proven example of knightly virtue. Of course, this is impossible to prove, but I imagine a lot of drama in the scriptorium while the historians were coming up with their narratives. It looks as if I’ll have to use some of that imagination in the service of redeeming Ava—or further condemning her. I haven’t decided yet. Jessica Knauss earned her PhD in Medieval Spanish with a dissertation on the portrayal of Alfonso X’s laws in the Cantigas de Santa Maria, which has been published as the five-star-rated Law and Order in Medieval Spain. A driven fiction writer, Jessica Knauss has edited many fine historical novels and is a bilingual freelance editor. Her historical novel, Seven Noble Knights, will be published in 2016 by Bagwyn Books, and she is currently working on the sequel. Find out more about it here, and her other writing and bookish activities here or here. Follow her on Facebook and Twitter, too!